You simply cannot have a better idea than to relax by casting your line and catch some big fishes. You may have planned this multiple times for adventurous weekends. Fishing is one of the most wonderful family sports around the world and to make it enjoyable for you and your family; you should take certain steps to ensure about fishing safety and comfort of your loved ones. As fishing is done in ever changing outdoor conditions and for everyone safety comes first, so we have gathered some of the most influential expert’s advice to make your fishing experience a great one. 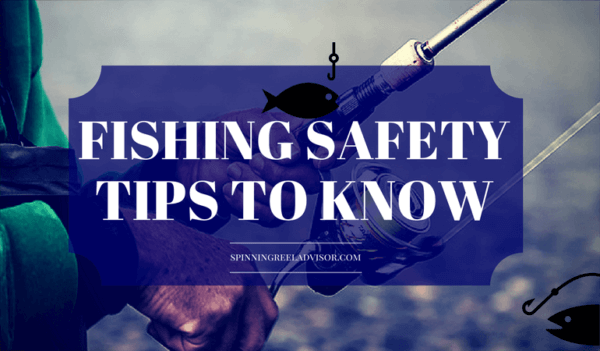 Take a look at the below-mentioned fishing safety tips to avoid any accidents or injury. While fishing in a lake, pond or ocean with your family or alone, always use a personal flotation device. A PFD is life jacket or buoyancy vest that helps you afloat when you accidentally fall in deep waters. The PFDs should be coastguard approved and make sure that every member of your team wears a proper fitted PFD; this could avoid much of the trouble. First of all avoid going solo on these kinds of trips, always try to tag along with someone. And just in case you like to fish alone always let your family and friends know your plans, and by what time you will be back. This will help the concerned people to look for you in the case of a mishap easily. If possible try to find someone experienced to accompany you. While choosing fishing site always give your safety the top priority. As fishing is carried out in various environments and each one of them have different safety requirements. When you are planning a fishing trip, try to get the insight about your fishing location such as its weather conditions and future forecast. Read the safety signs around as they have been placed for a reason. Always be ready for the rough weather as it changes all of a sudden and can vary significantly from predictions. If some regions have been marked “off limits” for fishing, there must be a reason behind this. It may be there to protect wildlife and vegetation or for even your safety. Whenever you go for fishing, try to dress accordingly, try to wear light clothing such as shorts and spray jacket. They let you swim more easily and freely in case you get washed in. These cloths are designed to dry quickly and thus keep you comfortable all day. You may be thinking what do shoes, and slippers have to do with fishing? Water resistant or fishing boots will keep your feet dry all day and provide better traction even on wet and slippery surfaces and do not let you fall. Also, they protect you from unseen underwater threats such as glass pieces, hooks or sharp edged metals. Always carry a first aid kit with you, who knows when you will need one. Check for bandages, antiseptic, pain reliever and anti-inflammatory medication in the kit before you leave home. These first responders boots will be the perfect companion for you. The fishing hooks in your line are very sharp and can cause severe cuts, so before casting your line have a peek behind you just to be sure that there is no one standing behind you. And to stay safe from other angler’s hook wear a hat and sunglasses. If you have a fish on the hook, never try to grab it while still on it. As the fish can wiggle, this can get you trapped on your hook. Obviously, you don’t want to be at the end of your line. If you bring fishing knives with you, makes sure they are covered while not in use. Your knives must be sharp and have a case to keep them securely. Staying away from people is considered odd but in this scenario it’s advised to stay away from other fishers. This is so to avoid hook or pole accidents while casting lines. If you are bringing kids with you make sure they are always under the guidance of someone experienced. As they are impatient and curious, they can invite unwanted accidents. See? Not that plenty of safety tips to know about. We’ve got an infograph on Fishing Safety just for you, so that you can share it with your friends and family. Because sharing is caring, right? It’s a simply designed one, but it’s one hundred percent relevant. These are some of the important safety tips given by experts and by following them you can have an enjoyable weekend without facing any trouble. Not to forget the fishing etiquette as well.